Can National Single Window project facilitate trade? Globalisation has boosted International trade. Trade facilitation now matters more than ever before. Efficiency in international trade is a priority for the private sector. Businesses are adopting advanced technology to make the cross-border trade faster. But unloading and release of products from customs ports within the shortest possible time is currently a challenge for Bangladesh. Cost of doing businesses in Bangladesh is considerably high. Bangladesh ranked 177 among 190 economies in the last annual rating of ease of doing business index of World Bank. Also, Bangladesh scored 34.9 in Distance to Frontier for Trading Across Borders (DB, 2018), far below the South Asia regional average of 57.8. However, neighbouring countries are much ahead. Sri Lanka scored 70.7, India 56.5 and Pakistan 38.1 in that ranking. The unusual delay in releasing goods from the customs stations is one of the major barriers to trade facilitation. 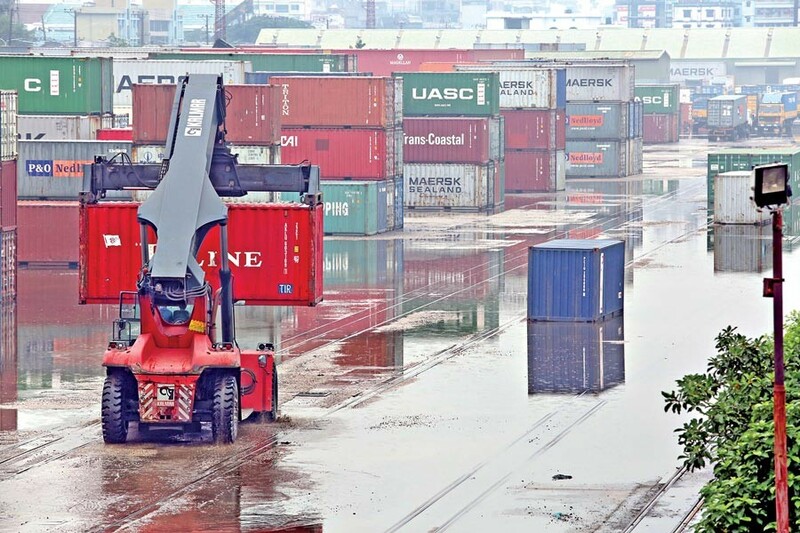 A number of ministries and agencies including port authority, ministries of commerce, and shipping, and Bangladesh Standard Testing Institute (BSTI) are involved in export and import process. Customs alone cannot ensure speedy release of import-export consignments. To meet the growing demand for trade facilitation, the National Board of Revenue (NBR), on August 7, 2018, signed Memorandum of Understanding (MoU) with 38 government and private agencies to launch a National Single Window (NSW). The NSW, one of the largest projects of NBR with a Tk 5.85 billion funding, would help to expedite export-import trade, transit goods movement and check duty evasion. Of the total project cost, the World Bank would provide the major part amounting to Tk 5.29 billion while Tk 561 million will be spent from the government's coffers. The NSW project formally started in April 2018 and would continue until Fiscal Year 2020-21. The NSW project has been launched under the Bangladesh Regional Connectivity Project 1 with a Customs Modernisation and NSW Implementation component. With this project, all of the departments relevant to export and import will come under an integrated information technology network. Bangladesh submitted its WTO TFA (World Trade Organisation Trade Facilitation Agreement) instrument of ratification in September 2016 with which it commits to implementing 37 measures of facilitating legitimate trade. The National Single Window is under Article 10.4, which states: "members shall endeavour to establish single window." In the modern customs administration, this type of window is virtual or electronic single window where individual data elements are only submitted once. Once NSW is implemented, the tax-revenue collection will increase along with the enhancement of compliance with rules and improvement of efficiency in resource allocation. It would help keep better trade statistics. Traders will be able to expedite release of goods from customs ports and experience a more transparent and predictable process and less bureaucracy. According to the NBR, the NSW for trade will benefit 319,000 Bangladeshi traders by reducing time and cost of trading in the fifth year of operation. The average processing time for imports is expected to be brought down to 122 hours and the average processing time for exports is expected to be reduced to 88 hours. Productivity of customs will improve through the upgraded infrastructure, and a more structured and controlled working environment. There will be lesser scope for physical inspection. With this, the scope for corruption will be reduced significantly after the implementation of NSW. Importers and exporters have to furnish different documents several times in different points to release their goods. The time-consuming task caused significant increase of business expenditure. Traders will be able to insert required information and documents into a single entry point. Regulatory requirements for export-import and transit cargo can be fulfilled easily. They have to submit electronic data only once in the NSW. The country's export basket would be expanded if they can meet lead time of buyers. Export income target of US$ 50 billion can be achieved by 2021 with the trade facilitation steps through NSW. Procedures for international trade related permits, licences, certificates, and customs declarations will be automated through the NSW. The economy of Bangladesh largely depends on international trade. The country's annual import is around $ 55 billion and export $ 36 billion. Although Bangladesh is mostly depended on import products due to poor the local manufacturing sector, export basket is also widening fast. Customs ports are dealing with the entrance and exit process of goods. To make NSW a success, all relevant agencies will have to work together. They will have to extend cooperation to each other. With this, trades and government departments would be able to fulfill regularity requirements for reducing unnecessary costs of business. However, NSW is considered one of the complicated mechanisms. Most of the developed countries also struggled to implement an efficient and useful NSW. Customs alone will not be able to facilitate trade without cooperation from other departments. The outcome of some large government projects remained disappointing over the years due to the lack of proper initiatives. The government departments take up large projects with enthusiasm, but could not maintain the required pace of the project implementation, in many cases. Some vested interest groups remain always active against digitisation. They create road-blocks against reform steps. The practice is continuing over years to avoid transparency. Transparent trade process would plug the holes of inefficiency and duty evasion. A section of people who are taking the advantage of the manually-operated conventional system may try to make the paperless system inoperative. Bribe in customs ports in different stages is one of the most alleged issues of businesses. Also, there is connivance between some customs officials and businesses to evade duty. A diagnostic study of Transparency International Bangladesh (TIB) on the country's Chittagong Port estimated that Tk 8.0 billion of bribe is transacted every year in the port. The NSW will ensure the accountability of the government departments. The issuance of certificates, permits or licences by the concerned departments will be transparent in the digital system. The governments political will and resolve will be necessary to make the NSW project a success. Stern action against corrupt officials and tax evaders should be taken to allow the system to be functional.